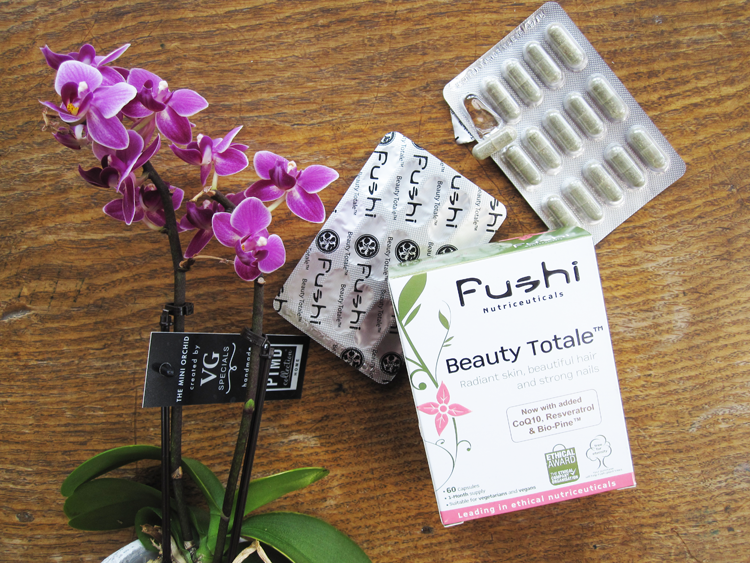 For the past month, I've been trialling the best-selling Beauty Totale supplements from Fushi. With promises of radiant skin, beautiful hair and strong nails, I was eager to see if I would notice a difference or not. Fushi are one of the leading brands in 'ethical nutriceuticals' which basically means that their wide range of supplements and health products come with good accreditations and they use only high quality and ethically sourced ingredients with no fillers, binders or bulking agents. 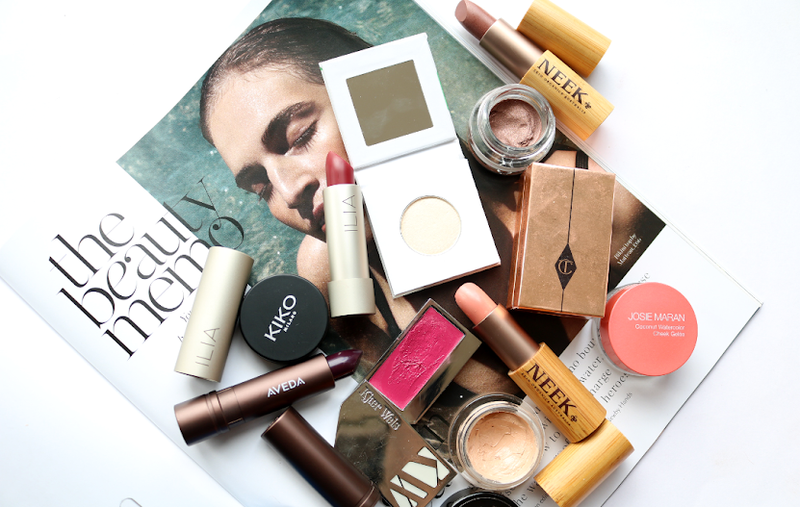 As well as the healthcare range, they also produce several beauty products such as shampoos, lip & multi-purpose balms and various body oils too (I've tried a lip balm from them so far and it's great!). 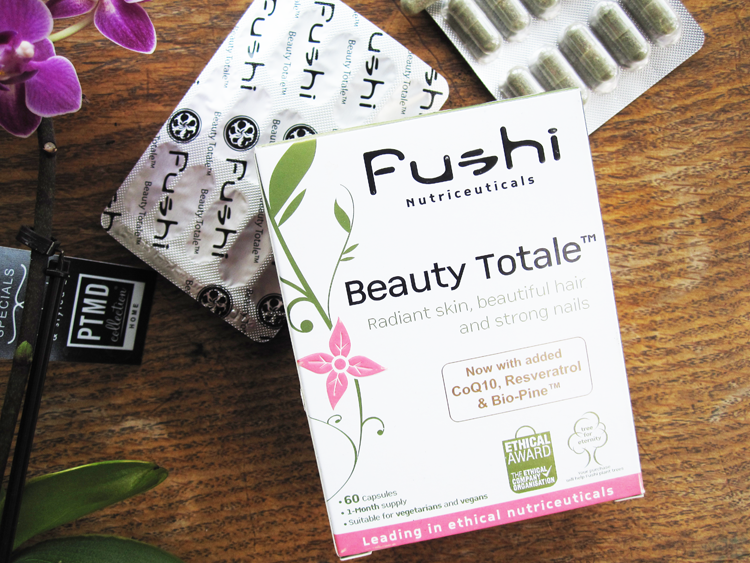 Beauty Totale is one of Fushi's bestselling supplements and it's aimed at those who want to give their skin, hair and nails, a healthy boost from the inside. 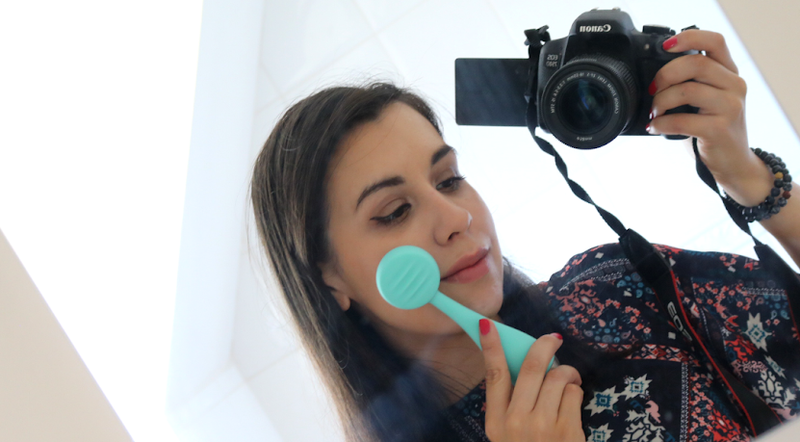 Perfect for beauty bloggers then! - Alpha-Lipoic acid, Biotin and Silica - renowned for their effects on the skin and hair and ensure glowing results within weeks. - Vitamins C, E, A, K, and B complex improve skin health and help reduce stress which is a contributing factor that causes skin to look dull. - Vitamin A helps repair and regenerate the skin. 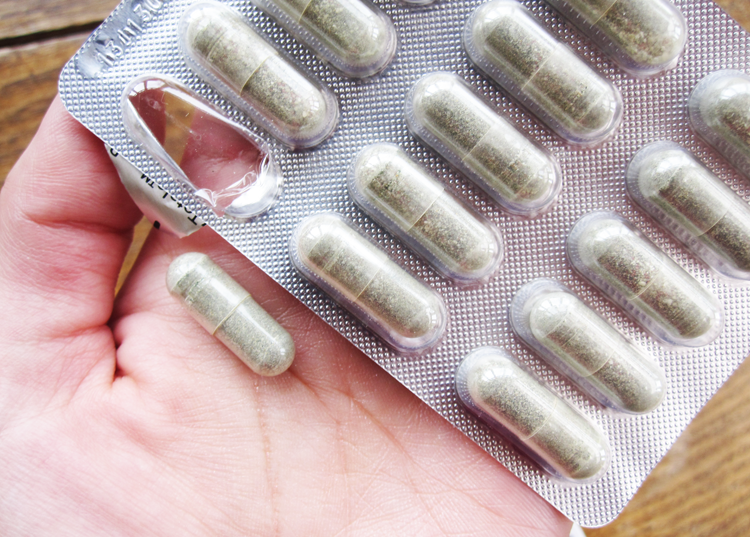 - Zinc is known to for its benefits for skin complaints such as acne. - Silica and Vitamin C contributes to collagen formation; and Essential amino acids support elastin and collagen production. 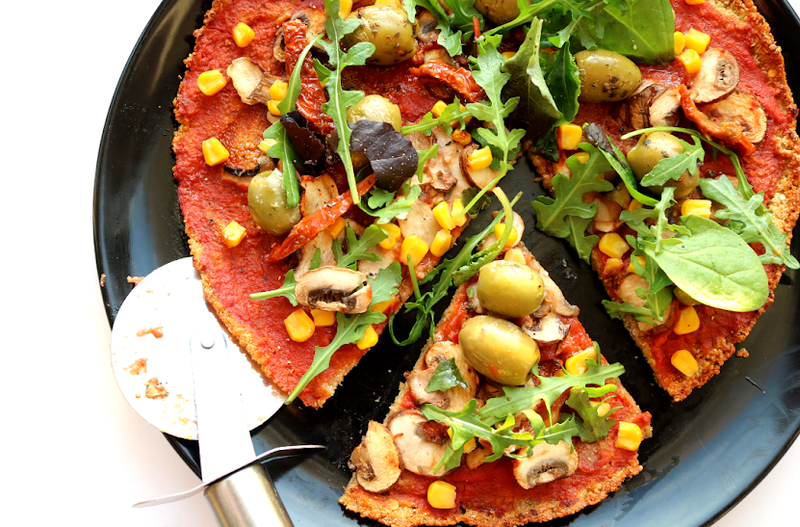 - Beta-carotene and Vitamin E help the skins natural defence against the sun. - Co Enzyme Q10 assists with the rejuvenation of collagen and elastin and Resveratrol helps reduce oxidative stress. - Pine Bark helps to protect against free radicals and oxidisation, while Spirulina provides essential fatty acids to nourish the skin. Directions are to take 2 capsules a day with a glass of water. I found the capsules easy to swallow (not too big and with a smooth casing) so used them for 30 days (1 packet). I didn't notice any big changes throughout this short period, but at the end of the last week, I did feel like my nails were definitely stronger than they were a few weeks prior to taking the supplements as they seemed to be less prone to breaking. 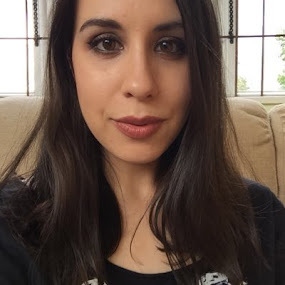 Whilst I didn't see any difference with my skin and hair, I would be interested to continue taking these to see what the long term effects are like and I feel that these are really high quality supplements with excellent, pure ingredients. Fushi Beauty Totale supplements* (60 capsules per pack for 30 day supply) are priced at £16.45 and are available from Naturisimo.com who offer free worldwide shipping. Do you take supplements for healthy skin, hair and nails? Have you tried anything from Fushi?